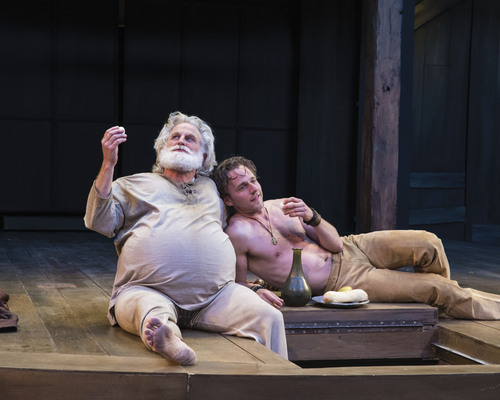 'Henry IV, Part 1' • Strong performances, inspired direction shape an outstanding production. 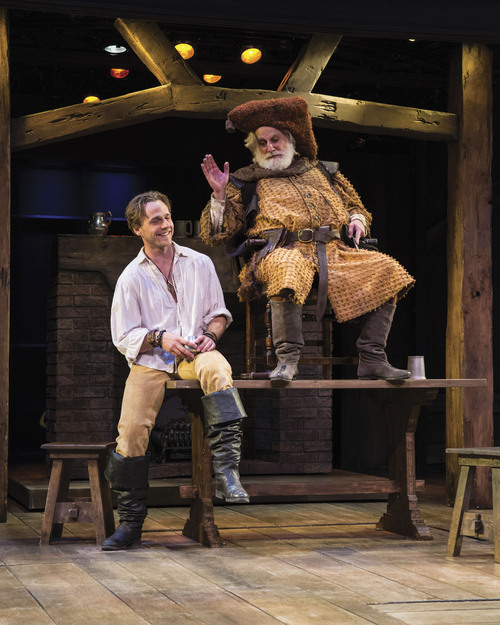 Cedar City • In his director&apos;s notes for Utah Shakespeare Festival&apos;s rewarding, multilevel production of "Henry IV, Part One," Brian Vaughn makes two points. First, this play is just one part of an ongoing story about not only England&apos;s kings during a crucial part of the country&apos;s history but also what it means to be a king and, in the case of Prince Hal, how a person becomes one. This Henry will be a very different king from his father. To situate the production in medias res  in the middle of a story  Vaughn begins with a voiceover speech from "Richard II," revealing the morally questionable way Henry IV became king, and ends with an iconic image: the aging, anxiety-ridden Henry on the balcony above the young, triumphant warrior Hal, finally focused on succeeding his father. As in the "Star Wars" saga, what has been is passing away, and we are eager to see what it will become. Vaughn&apos;s other point is that the play is less about politics than about family relationships, specifically between fathers and sons, and this explains the divided structure and intermix of comic and dramatic scenes. Prince Hal has two fathers: Henry, his physical father who expects him to help quell rebellion and restore order to England, and Falstaff, his emotional father who offers him companionship, understanding and acceptance. Hal gets another thing from Falstaff and his crew: contact with and knowledge of the common people, which will be invaluable when he is king in "Henry V." Even though Hal seems embedded in Falstaff&apos;s world, his intentions become clear when he tells us, "I&apos;ll so offend to make offense a skill/Redeeming time when men least think I will." Hal also has a mirror image in Hotspur, whose courage and dedication make King Henry wish Hotspur were his son. 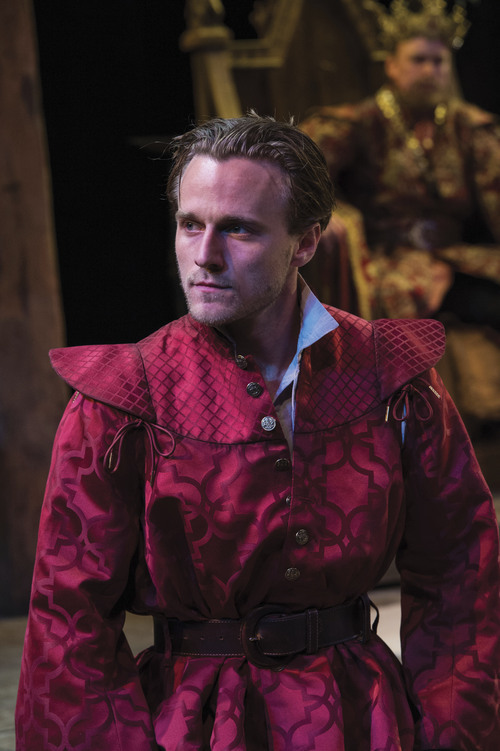 The parallels are sharper in this production because Sam Ashdown, who plays Hal, looks like Steve Wojtas, who portrays Hotspur, but their personalities are complete opposites. Wojtas&apos; Hotspur is impetuous, hot-tempered and always in motion. His intensity and impatience keep him from listening to anyone else. Ashdown&apos;s Hal is low-key and affable, a people person who enjoys and learns from others; he makes the transition from rebellious youth to responsible prince completely believable. Hotspur is also connected to Falstaff by their contradictory attitudes about honor. Honor is Hotspur&apos;s driving motivation, while Falstaff dismisses honor as worthless, "a mere scutcheon." As Falstaff, Henry Woronicz&apos;s performance is so natural that it&apos;s difficult to discern where being ends and acting begins. His Falstaff is crafty and unscrupulous but always charming; we want to dislike him at times, but we can&apos;t.
The other performances are also exceptional. Larry Bull&apos;s Henry is commanding and cold; he has made himself into the leader he feels he needs to be at the expense of conscience. Jonathan Smoots is wily and manipulative, the consummate politician, as Worcester; and Jack Greenman&apos;s towering inferno of a Glendower exudes mystical power. Bree Murphy&apos;s earthy Mistress Quickly, Connor Bond&apos;s loyal Poins, and Kipp Moorman&apos;s diplomatic, level-headed Blunt stand out in the well-balanced supporting cast. Vaughn&apos;s direction also propels us in medias resinto the midst of things. The battle scenes are especially exciting; Hotspur and Hal&apos;s duel leaves both exhausted, and the conclusion seems almost a lucky accident. Vicki M. Smith&apos;s set with its portraits of kings and tattered banners embeds us in English history, and Donna Ruzika&apos;s warm golden lighting creates a peaceful respite in the Welsh scene. David Kay Mickelsen&apos;s eclectic costumes contrast stark blacks and warm browns against regal reds and blues. Joe Payne&apos;s otherworldly music highlights emotional moments. 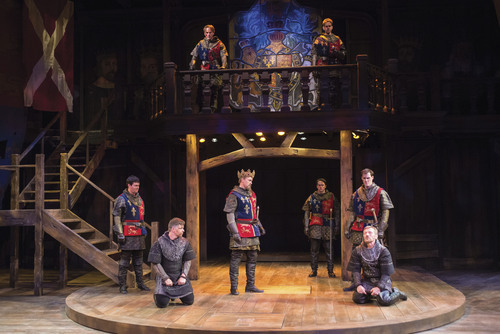 Utah Shakespeare Festival&apos;s remarkable production of "Henry IV, Part One" is intelligent, heartfelt, and funny.